From September 25th – October 3rd, 2018, during Paris Fashion Week, the legendary jeweller Harry Winston invites you to discover a memorable treat in Le Lobby restaurant at The Peninsula Paris. 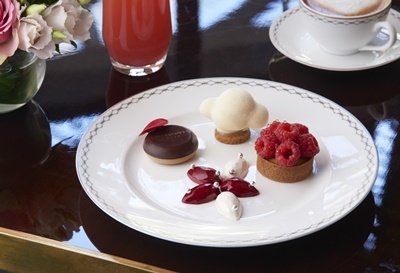 The Peninsula Paris Head Pastry Chef, Dominique Costa, has created a one-of-a-kind dessert, inspired by the House’s most timeless and iconic design, the “Winston Cluster,” to be enjoyed during Afternoon Tea throughout this exciting week. This edible treat mirrors the elegance and sophistication of Harry Winston jewels by combining two worlds – taste and aesthetic. 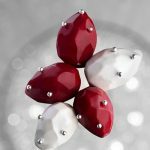 A raspberry confit and vanilla ganache meets a passion fruit mango confit and a coconut ganache, in a flavourful arrangement enveloped by a white chocolate shell.